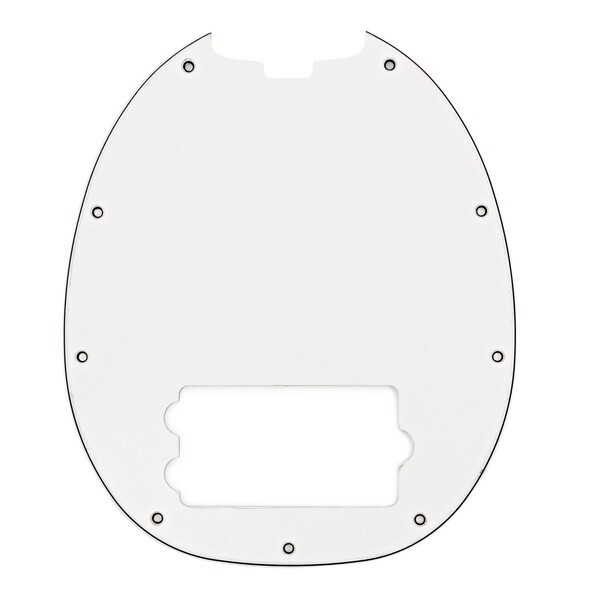 The Music Man StingRay 4 Pickguard in White gives you the ability to change the style of your StingRay bass with ease. Whether you want to change the colour, or to replace an existing warn out pickguard, this White Music Man pickguard features pre-routed and drilled construction for quick, easy, and direct replacement. The StringRay 4 pickguard is specifically designed for the StringRay 4 string bass guitars, and is the ideal way to spruce up your guitar's appearance.